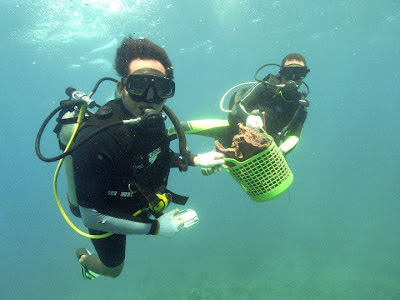 Since 2004 Trawangan Dive has run a Biorock® Specialty course as well as gaining further knowledge and experience in reef survey techniques and coral gardening. 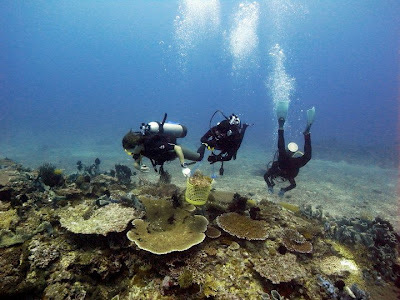 Certain areas of shallow water corals around the Gili Islands have suffered damage by combinations of coral heatstroke, disease, land-based sewage, global sea level rising, over-fishing and direct physical damage. 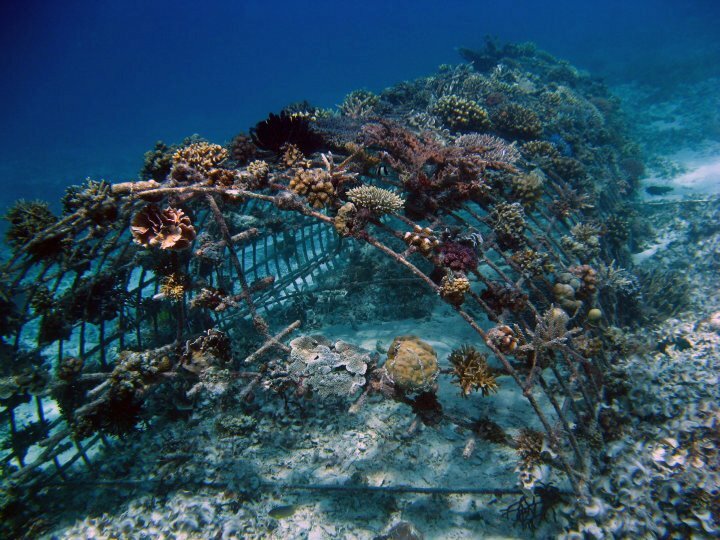 A revolutionary new technology called Biorock® can make this possible. 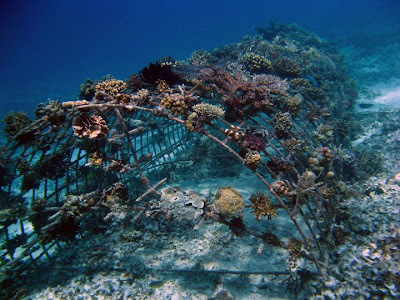 The reef restoration project is coordinated by the Gili Eco Trust which works closely with the DKP (Indonesian Marine Conservation and Fisheries). Head of the Gili Eco Trust is Delphine Robbe who oversees the Biorock project around the Gili Islands and here at Trawangan Dive for more information visit www.giliecotrust.com. 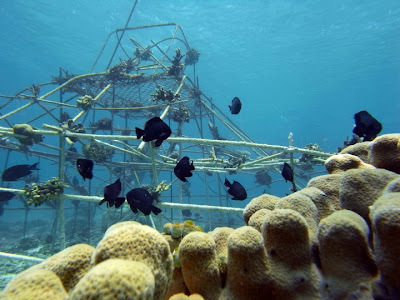 Since 2004 when the first Biorock® reef was installed many development and research students from Indonesian and other Universities around the world have come to study the Biorock® reef restoration project as part of their Thesis or Masters Degree. The Biorock® Process involves a submerged steel structure that applies a safe low-voltage electrical current. 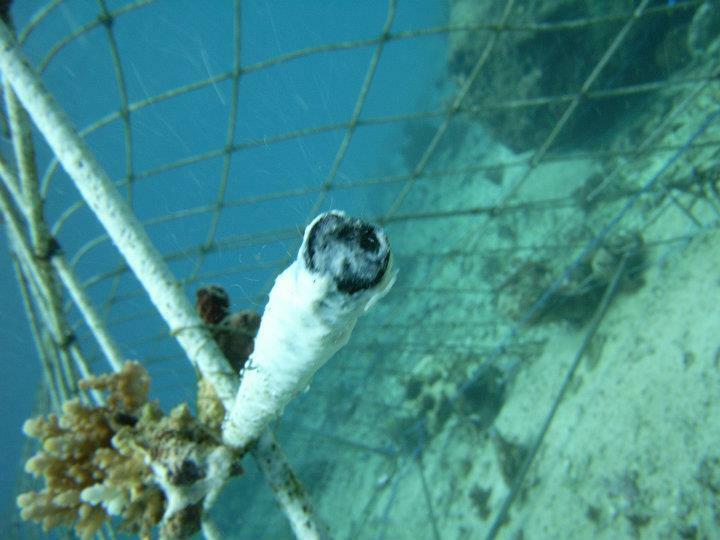 Small pieces of live broken coral are then strapped to the structure and have been shown to grow at 3-5 times the normal rate while coral survival under higher water temperatures and pollution increased by 16 to 50 times. The Gili Islands are the second largest Biorock® site in the world, currently home to 63 Biorock® structures and have hosted International Reef Restoration Training Workshops. 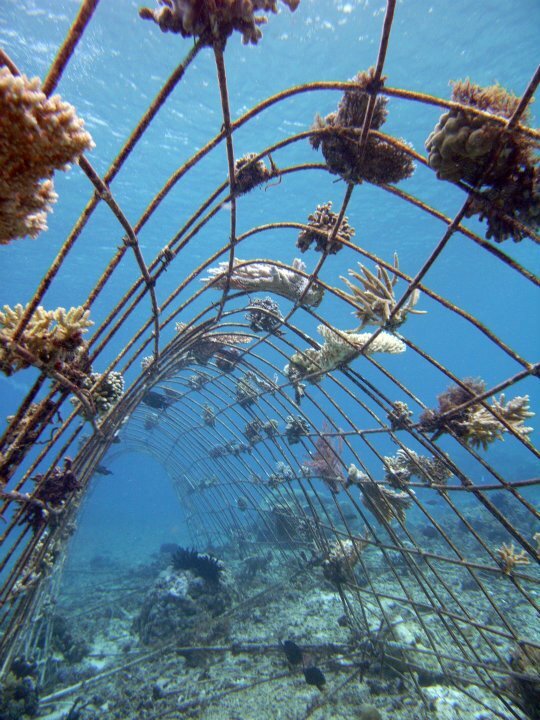 Our hope is to continue these projects and make the Gili Islands a global centre for coral research and re-growth. 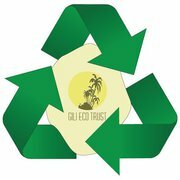 This course is currently taking place right now with five students from around the world. The course itself takes 2 weeks to complete. During their training they would learn about coral biology and environmental threats, be trained how to coral garden, survey, conserve, maintain the exciting Biorock® and finally design, weld and submerge their own Biorock® structure to place around the Gili Isles. 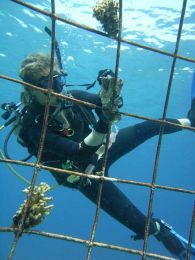 This program is tailored to you allowing you, it allows you to chose the time frame and the PADI courses you want to do. 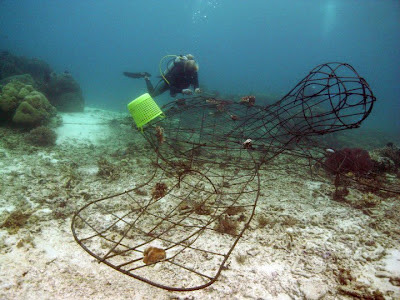 This can be from the Open Water course through to the Instructor levels as well as a multitude of other specialities. 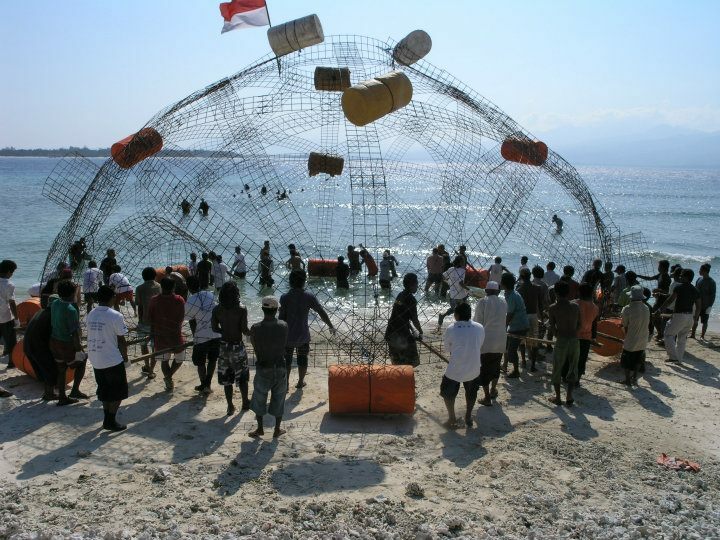 If this is something you are interested in or for further information please email us at info@trawangandive.com we'd love to hear from you! 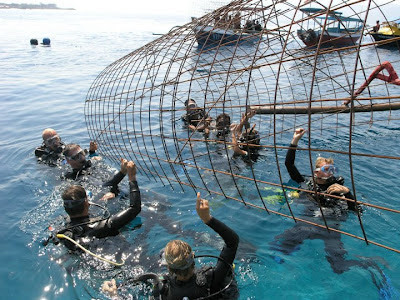 2012 Program dates: 1st-15th April 1st-15th July 1st-15th October.